What is Black, White and screaming Red all over? Yes, it is the new Blackberry Q5 that will be launched on the 2nd August 2013 in Singapore. "BlackBerry is excited to bring a new BlackBerry QWERTY smartphone, the BlackBerry Q5, to our customers in selected markets around world," said Thorsten Heins, President and CEO of BlackBerry. "The BlackBerry Q5 gives you the best of everything with its cutting-edge BlackBerry 10 functionality and a physical QWERTY keyboard. It is for youthful fans that are passionate, confident and bold, and it makes it easy for them to have fun, create, share and stay connected." 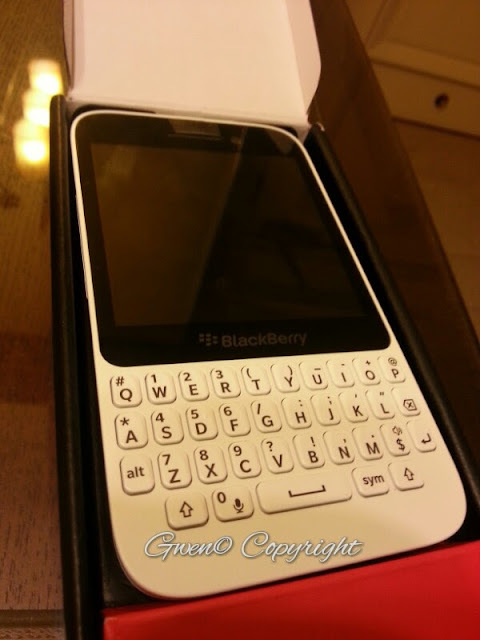 The blackberry Q5 comes in five colors; Black, White, Red, Grey and Pink. Very amazing isn't it? If you have seen the Q10, you'd see the slight difference here. Between the Q10 and the Q5, it's like between the Bold and the Curve. 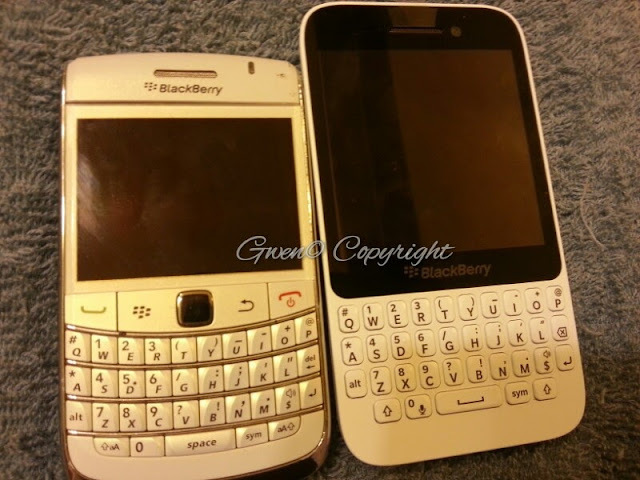 As they say the Q10 is an upgrade of the Bold and the Q5 is an upgrade of the Curve, see the resemblance? This design is quite a love hate kind, where some people may love it, some may hate it, some may find it interesting, some might think it's not attractive at all. Price wise, of course te Q5 is cheaper than the Q10 and it isn't as powerful as the Q10 as well. Unboxing the Q5, in the box, it comes with the manual, safety and product information, a power socket head, and USB>microUSB head cable and a earphones. note: the 2180 mAh Li-on battery is not removable. So you don't get an extra battery unboxing it. I know there is a little downside with the non-removable battery, to be honest i was a little shock in the beginning because i thought only apple does that. Here is a comparison of my Blackberry Bold2 and the Blackberry Q5. *thumbs up the the white-ness*. As we can say the bold or the curve has a same color display frame as the housing, whereas the Q5 and the Q10 has a standard black display frame even with a different color housing. The size of the Q5 at 3.1" inch isn't to say it's small nor huge but it's enough for a touch screen display phone with a qwerty keypad. The phone hands on. In comparison of the size, at 120 x 66 x 10.8mm, and weighing at 120g, it fits into my palm perfectly. *note: i've got small hands* with the new loading look when i turn on the phone. This blackberryQ5 comes in the new (not so anymore) Blackberry 10 OS, which my Bold doesn't have, so it is pretty impressive to me. When i first turn it on, what amazed me was the loading screen. It no longer has that boring black loading line. The Qwerty keypad has a backlight so now you aren't afraid to type in the dark or to say you can't see. They have the standard 4 row qwerty keypad, but there isn't any accepting calls or rejecting calls icon. In terms of responsive and lagging, it is no where near that. Okay, enough of the external what about the internal? 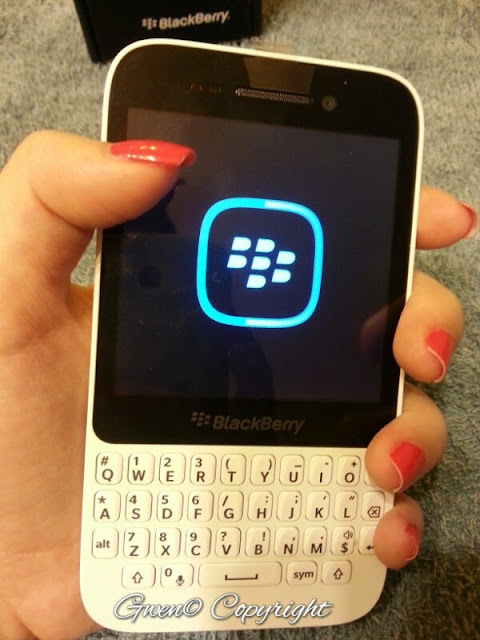 The Q5 runs on Blackberry10 with Qualcomm Snapdragon 4, on Dual-core 1.2 GHz. With a 2180 mAh battery, it is quite alot to last you a full day of using it as the iphone5 is only at 1440mAh and the Samsung Galaxy S3 comes in 2100mAh. With my S3, it could last me a day, but remember i am a full on user and with all the feature that the S3 has and running, the battery runs out faster. The Q5 doesn't have a call/reject button, so the quickest way, is to search manually or tap into Phone directly. This would be a little confusing in the beginning as it would take some time to get into Dialer, but once you know where it is, it may come in handy. But not to be fear, there is a phone icon at the left bottom where you use tap, and you get into it where you could see all your phone logs and there would be three tabs at the bottom ; Calls, Contacts and Dial Pad. With the Q5, you can be accessed to Box or Dropbox (a much more common one), and with the external memory card where you can go up to 64gb, i bet you would have plenty of space to play around with. What i like about this phone, is that, it has Docs To Go (doc. exc. ppt. ) so convenient when you are on the go. They also have Adobe Reader where it automatically stores any .pdf files in there and could be shared/send straight from there. Firstly, as a girl, taking photos is really super important. The Q5 comes in a 5mp back camera that has autofocus and LED flash. It also comes with a 2mp front camera. 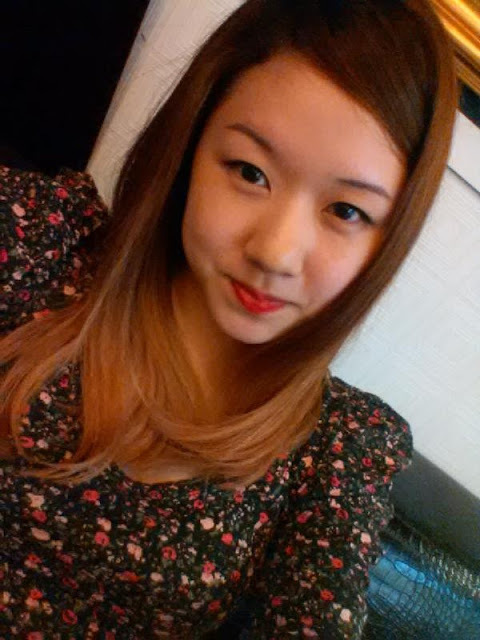 How well is it? Let's test it out. The amazing thing about this camera feature is that, i just tap the screen to capture it. i say TAP not TOUCH. because it is THAT AMAZING AND SENSITIVE!! Normally we got to Tap to focus, and Touch to snap. It's fast, quick and not laggy. 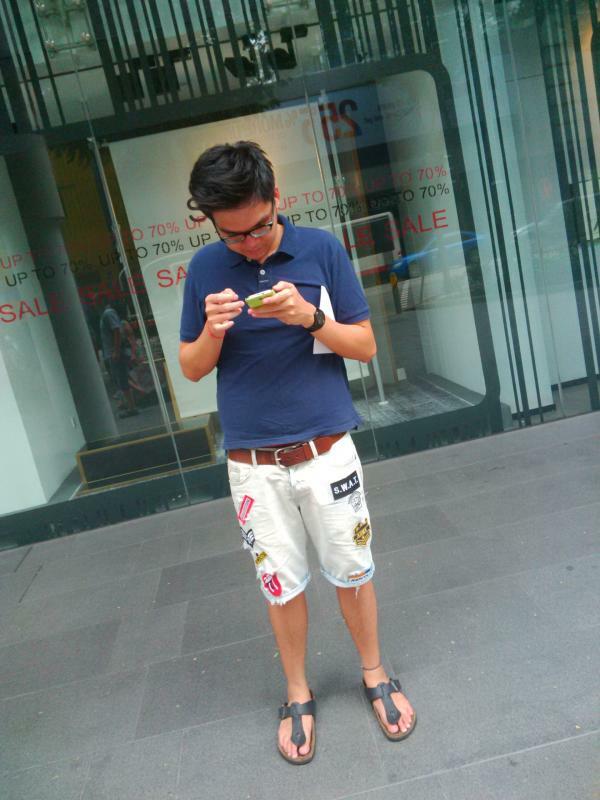 But on this phone, it is TAP to capture, TAP + HOLD to focus. The camera comes in a few features of setting; Auto, Action, Whiteboard, Night, Beach/Snow. Also in different shooting mode of Normal, Stabalisation, Burst and HDR. 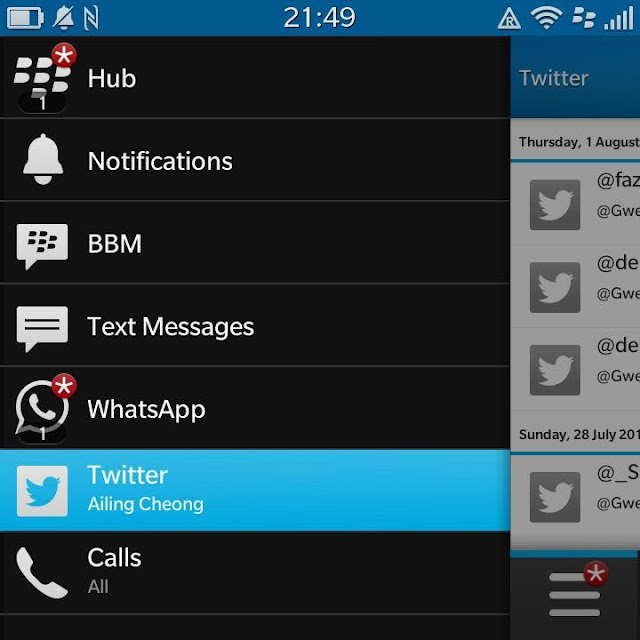 The next different thing about this is the notification hub which is mainly from the BB10, I love how it has the new sleek design and the notifications are also listed out in the apps so you can actually know what notification it is rather than a list and slowly scrolling it down. the BB10 now comes in the Z10, Q10 and the Q5, so these are the 3 phones that can enjoy the new notification feature compared to the old one that is only pure white with no icons and everything is merged together. The Blackberry Q5 is targetted towards a much more younger age with the fun and youthful look. 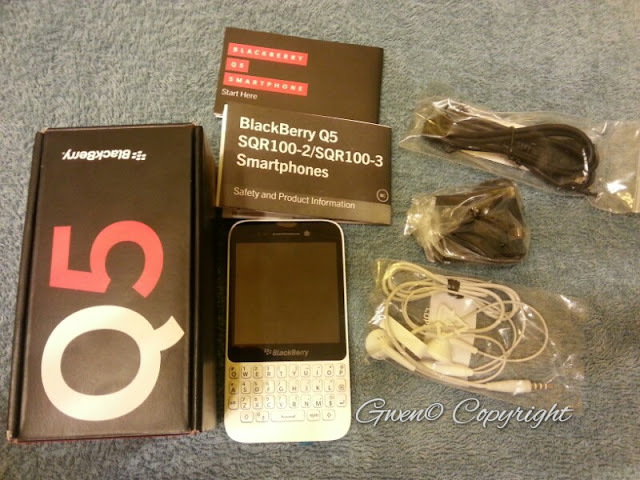 If you are looking for a touch and type handset and not willing to pay as much for the Q10, then this is it. What i am amazed in the end is, i do not need to subsribe to BIS or BES monthly to use the apps of the phone (which to be honest was quite annoying with my Bold 2). The downside of the blackberries for me were the annoying BIS and BES that i had to pay extra montly on top of the data plan that i have to purchase as well, so cutting out the BIS and BES is so much more convenient because now i can connect to wifi and use it straight away without any annoying "data connection" errors. I've been using the Q5 for 3 days straight to test out how would it feel using it, and i would say i love it. the only downside for me is that i use my phone the entire day and i use it for mails, facebook, twitter, instagram, whatsapp and all that. I sometimes draft blog post on my phone as well. So by using a phone that has a keypad, it ruins my nails or hurts my finger due to the long constant pressing on the keypads. BUT, the upside of it is that, i can actually feel the keypads on my thumbs and sometimes, it's nice to feel old school once a while. The downside about this phone? - It DOES NOT have instagram (but i don't blame this phone in particular). In fact, Blackberry shared that it will be coming soon! - i need to tap the top in order to put it to sleep or wake it up. (or maybe there's a setting where i can press any key and the screen will turn on and i will just have to unlock it. - i can't shut the camera shutter noise. - I'm amazed at the camera, all i need to do is tap snap tap snap. - It's not expensive for a relevant phone with features you get on this. So, what do you think of this phone? Would you get it? I know there is no winning comparing to the Z10, Q10, or Samsung Galaxy Note2 and all that. But would this be a phone you hold or would you recommend it to someone? And what are your thoughts on it? Thank you BlackBerry & StarHub for the phone for me to review it. I like to share a tip. Instead of tapping the screen to take a picture. You can also press the "spacebar" key on the QWERTY keyboard. This also applies to Blackberry Q10 as well. Thanks Johnny. I tried it and it works! thanks for the extra tip. I think it works for Q5 too right? 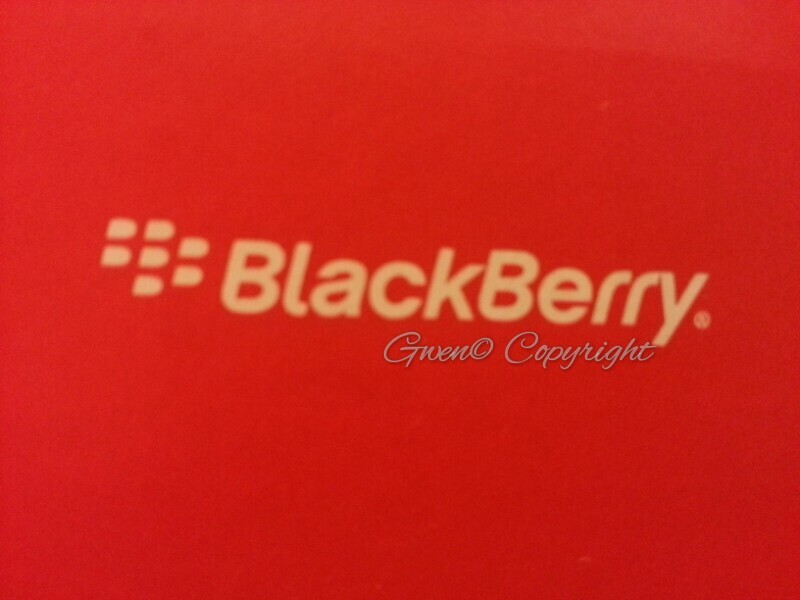 It is a pity that BlackBerry Q5 is not available in RED!